In the past I have been asked about how I purify water in my Prius 6 gallon freshwater tank, that sits in the rear passenger side wheel well. Above is the picture of my water tank (blue label on it) with white box on top for my clothing storage. I was also asked if I put chlorine drops in my 6 gallon water tank from time to time to purify the water, and I said no. I start each year off with a clean tank and fresh water. I also drain it with syphon tube when I visit my son in San Diego and put fresh water in and then drain it again before refilling it. After that, I just add water from purified sources as it needs it until I get home. During my travels I carry a 1 gallon jug of water that I use as fresh water to drink. I keep the one gallon jug to fill and then refill the 6 gallon tank. The 6 gallon tank is primarily used for heating hot water for cooking and washing. I boil the water before it goes in my 24 hour thermos. Therefore it is purified by boiling. There are times when I run out of water in my gallon jug and then I get drinking water from the 6 gallon tank. Although I don't think I would have a problem with drinking the water from the 6 gallon tank, I do purify the water I drink from it with a SteriPen using my Nalgene bottle. I bought my SteriPen at REI and I bought the best one that costs about $100.00. When I hike in New England I carry the SteriPen so I can replenish water on trails from streams. My SteriPen came in handy this year for my backcountry hike to Havasu Falls. I would use water from the Havasu Creek and purify it for our drinking water. I would do a Nalgene bottle at a time and refill our CamelBak bladders. At the Havasu Fall Campground there is a spring and although it is reported to be tested once a month I purified the water with the SteriPen for our drinking water. Water for cooking was boiled and I did not use the SteriPen. 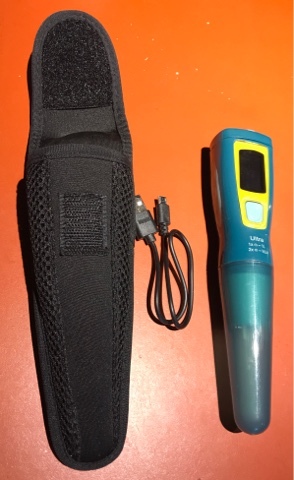 The SteriPen I have comes with a Velcro closure case, USB charging cable and SteriPen. The SteriPen I have is rechargeable via USB and it was fully charged starting our hike into Havasu Falls. I purified many bottles of water during our 3 day hike. I would estimate about 6 gallons and I only used one bar on the battery indicator. 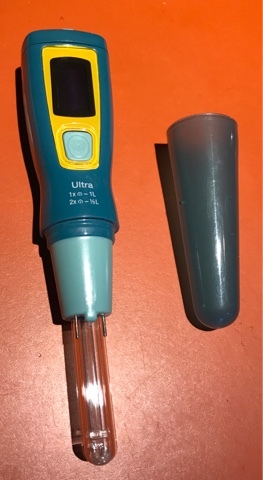 The pen has a protective cover for the ultraviolet stem of the unit. The UV light kills 99.9% of bacteria. 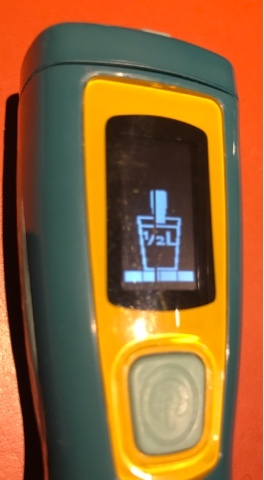 There are two settings on the SteriPen. 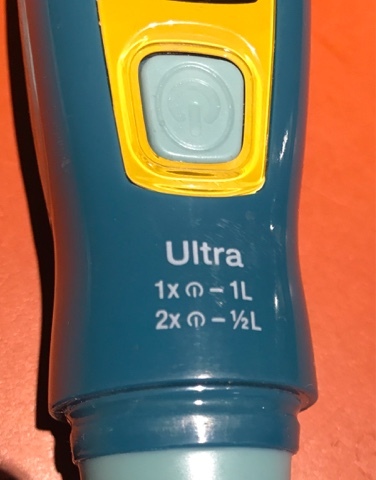 The on button pushed once will give you a countdown for 1 liter purification and pushing the on button twice is for a 1/2 liter. 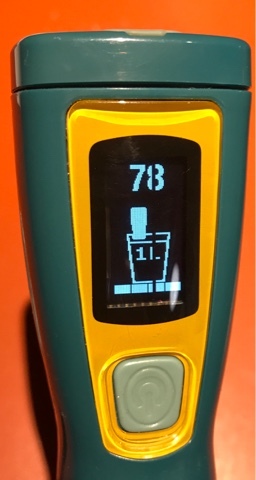 The display shows the setting of 1 liter and the battery strength of 4 bars, meaning full battery. For purifying a 1/2 liter the screen changes. 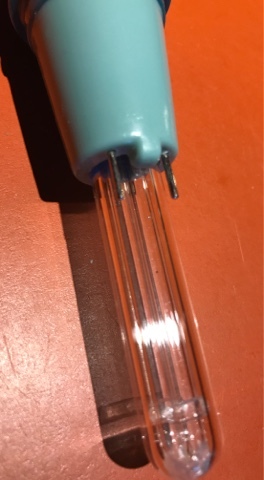 Above the clear tube (UV Pen) are two metal prongs. These must be kept in contact with the water at all times of purification. 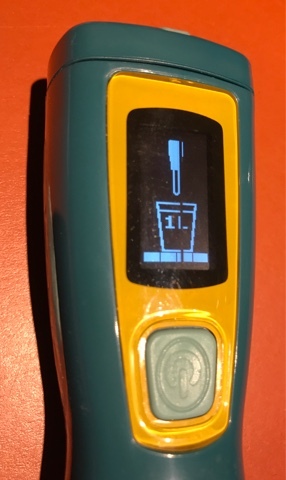 When purifying the SteriPen screen shows that you need to be swirling the SteriPen continuously as the clock counts down to 0. Follow the directions that come with the SteriPen for complete explanation on purification rules. If you do not keep the two metal pins in the water as you are purifying the water you will get an unhappy face and a ? 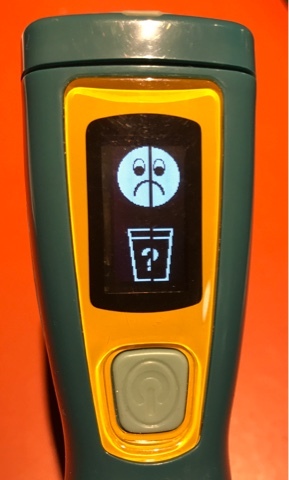 indicating if the water is purified. When this happens start at the beginning and purify again. I always slosh water out of the container on the rim of the bottle to have clean water on the rim for direct drinking. Obviously you can boil water to purify it. 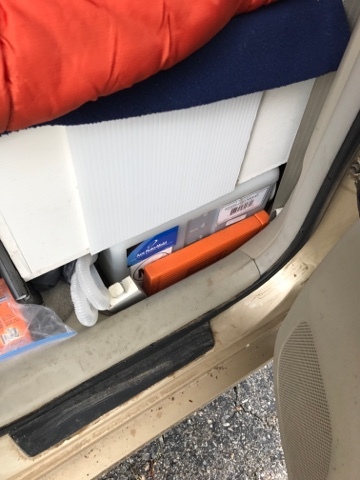 I found the SteriPen a simple way of refilling my water supply when hiking and living in my Prius using my 6 gallon water tank. This is a brilliant idea, but just wondering, where did all the dirt go? or does this purifier just kill the bacteria present in the water. Also, can you charge the Steripen? I only put tap water in my 6 gallon tank so there shouldn't be any sediment in it. The steri pen only kills potential bacteria as you suggest. On trail hikes I use the steri pen to sterilize running water and since it only kills bacteria I end up drinking some sediment I guess, but with no problem. 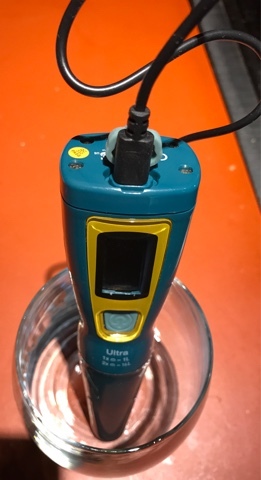 If water is cloudy or fear sediment I have a small filter pump to take the sediment out first then use the steri pen to purify the cleaned water. Are you concerned that water on the edges of a container are not sterilized by the Steri Pen? Yes I had that concern. Then I thought of the tablet purification directions That specify that purified water should be sloshed in the rim to purify the edges. I also ran the UV light from the pen on the rim too.